Interested in working at Hahn Air? Learn more about our company and business model. Watch our 2-minute video and get to know our unique business model that tells a success story of many years on the global market. Watch the video with French subtitles. Watch the video with Portuguese subtitles. Watch the video with Spanish subtitles. Watch the video with Russian subtitles. Have fun listening to our Hahn Air song. 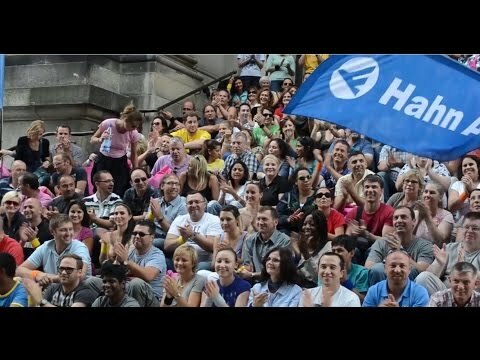 The video is featuring our Hahn Air colleagues from around the world which had great fun to shoot the video. Enjoy!